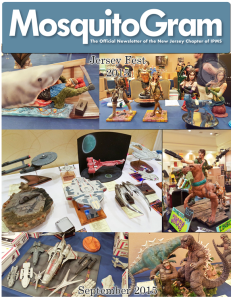 The September 2015 edition of the NJIPMS newsletter, the MosquitoGram, has been uploaded to the website. You can find it on the Newsletter page. I have also added a review of the Bad Azz models 1/48th scale kit of the Battlestar Galactica “Blackbird” fighter. Added HERE, and linked on the Reviews page. This entry was posted in Reviews, Website Updates by New Jersey IPMS. Bookmark the permalink.